'Is that good?' I asked. I assumed, given the circumstances, that it was, but wanted to hear her confirm it. Don Tillman, professor of genetics, has never been on a second date. Then a chance encounter gives him an idea. He will design a questionnaire--a sixteen-page, scientifically researched document--to find the perfect partner. She will most definitely not be a barmaid, a smoker, a drinker or a late-arriver. Rosie Jarman is all these things. She is strangely beguiling, fiery and intelligent. And she is also on a quest of her own. She's looking for her biological father, a search that a certain DNA expert might just be able to help her with--even if he does wear quick-dry clothes and eat lobster every single Tuesday night. As soon as I picked up The Rosie Project, I knew it was going to be a good read. Within the first beginning pages, the endearing tale had already began to unravel into a plot worthy of my full attention. Don Tillman, a highly successful Professor of Genetics has a long history of not finding a suitable relationship that has convinced him that he isn’t doing something right. Don has a specific type of woman that he wants; a punctual, non-drinking, non-smoking female who will fit into his own regimented lifestyle with ease, though every time his friends try and set him up, things end disastrously. So Don decides to, being an evidence-based person himself, start “The Wife Project” which consists of designing a questionnaire to help him find the perfect partner. 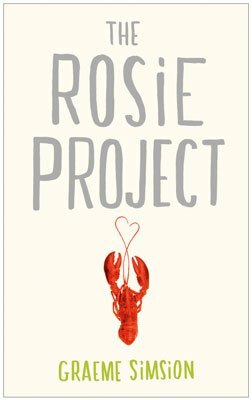 When the character Rosie appears, “The Rosie Project” truly begins, a fast-paced story that made me laugh, root for Don and Rosie to be together, and never lacked in surprising me with each turn of event. Overall, The Rosie Project was a story of looking at love in a completely different way, how even science can’t predict what the outcome will be. Don and Rosie never failed to entertain me, building to a perfect ending and amazingly written story. I strongly recommend this book to anyone who might love the TV show; The Big Bang Theory, as both have the wit and comedic timing of how Science and Comedy blend together, down to a tee. 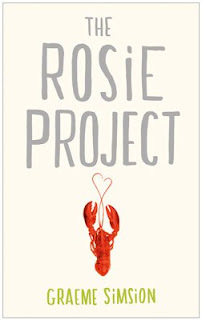 The Rosie Project by Graeme Simsion isn't out yet, but it's due to be published on 11th April (2013) by Michael Joseph Ltd an imprint of Penguin Books Ltd. Make sure you pick up a copy online or at your local bookstore. Once again, I would like to thank Lovereading.co.uk for the opportunity to read such an amazing novel. 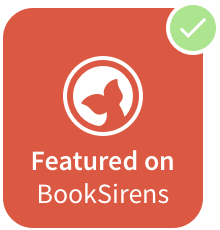 I really hope you like the review and I can’t wait to be surprised with even more good reads as recommended by lovereading to share with you all. P.S. You can also read my review at Lovereading's website and at Goodreads!